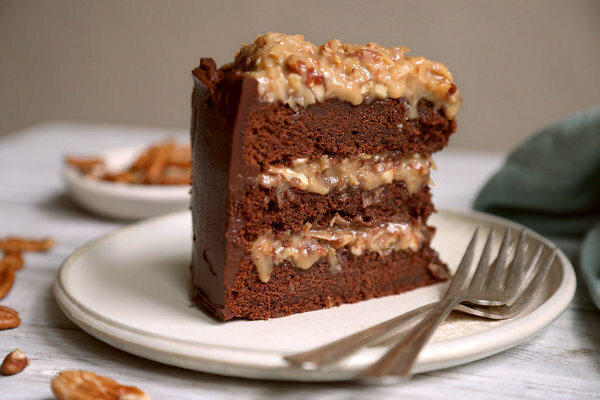 National German Chocolate Cake Day is here! Yum! Try our German Chocolate Cake! Preparation: Prepare 1 MWLC Chocolate Fudge Cake Nutrient per the instructions on the packet. Let cool and cut the cake in half horizontally. In a bowl, prepare 1 MWLC Chocolate Pudding Shake Supplement as a thick pudding. Mix 1 melted MWLC Sweet and Salty Peanut Snack Bar into the pudding mixture to create a filling and frosting for the cake. Add water to this mixture to thin the consistency as necessary. Spread this mixture in the center of the cake halves as filling and on top as frosting. Enjoy!